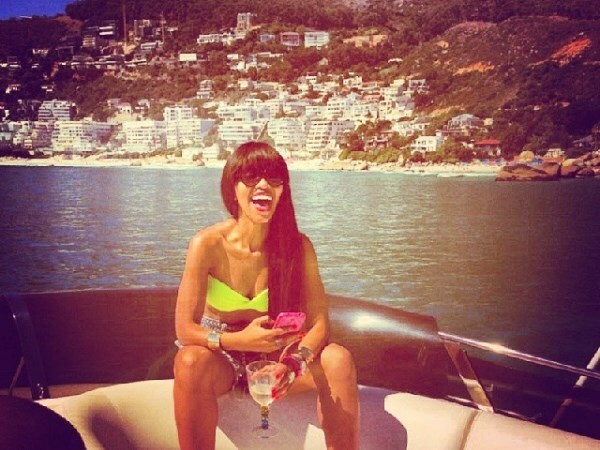 She regularly makes lists of Mzansi's sexiest women with her smokin' hot body and lovely face. And turning 30 has just made 5FM DJ Poppy Ntshongwana look even hotter. She chats to us about getting older, fashion icons and her wish for this year. She regularly makes lists of Mzansi's sexiest women with her smokin' hot body and lovely face. And turning 30, on January 26, has just made 5FM DJ Poppy Ntshongwana look even hotter. She chats to us about getting older, fashion icons and her wish for this year. Poppy doesn't wear the same bikini twice. Nothing has changed really… age is just a number! Were you dreading the big 3 0? Not at all. I was actually looking forward to it! What are some of the cool birthday gifts that you got? I got a Louis Vuitton wallet, which I have been wanting forever, and my mom’s friend made 30 photo frames with childhood pictures of me through the years that was really amazing! But all my gifts were stunning… lots of jewellery and lingerie… I was very spoilt! Is there a famous person who think has aged/is ageing gracefully? J-Lo – she is beautiful! You are a stylish lady. Which fashion icon do you admire? I have about five fashion icons and idolise them all for their classic and eclectic style. To name a few… Jackie O, Nicole Ritchie and Solange Knowles. Poppy will be busy with some "exciting" fashion projects this year.